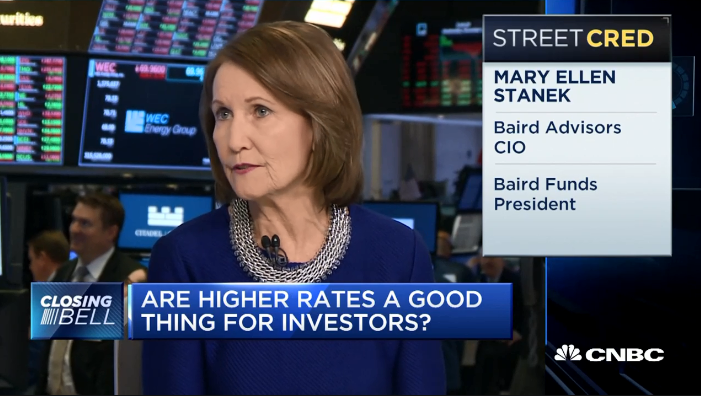 As the Fed continues to normalize monetary policy after a protracted period of artificially low interest rates, yield-starved investors’ concerns have shifted to worries over the impact rising interest rates may have on their portfolio. We’d like to offer some perspective. 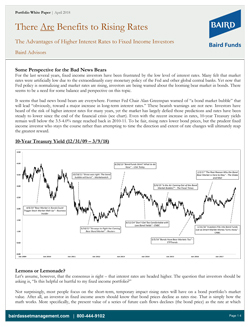 In our latest white paper, we highlight the long-term benefits rising rates provide for bond investors. Our team has decades of experience helping fixed income investors navigate changing market environments. Portfolios are built to manage risk while providing consistent, incremental returns relative to industry benchmarks. This proven investment approach has helped Baird’s bond funds achieve strong performance and positive industry ratings through various market environments. To read the fund's prospectus or to obtain the fund's performance to the most recent quarter-end, SEC 30-day yield information, any sales charges, maximum sales charges, loads, fees, total annual operating expense ratio, gross of any fee waivers or expense reimbursements as stated in the feed table, please visit the firm's webpage here.